April 2019 is the month I’ve been building up to for a decade. It’s the month I finally become a published author! Unscripted is out on April 4th. It’s about a young woman with a celebrity crush and a determined plan, and it’s available in all the usual places on ebook. Because it’s published by a British publisher, the paperback isn’t available on Amazon U.S., but you can get it from Blackwells.com – which, incidentally, is a great place to get many of your British books, since they have free international shipping. But much as I wish the entire publishing world would stop and make way for my novel, I know that’s not how this works. These three books are among those making their way across the pond this month, too. 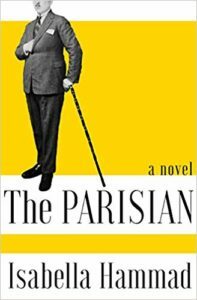 This literary novel is the story of Midhat Khamal, who returns home to Ottoman Palestine after studying in France to find his country under British rule, and over the course of book, both he and his nation strive for identity and independence. Zadie Smith has glowing praise for this book, calling it “a sublime reading experience: delicate, restrained, surpassingly intelligent, uncommonly poised and truly beautiful”. British readers have been raving about this book by my fellow alum of King’s College, Cambridge, since it came out in the UK in January, and perhaps not surprisingly, since there’s nothing passionate bookworms love more than a book about books and their powers. Emmett Farmer is working in the fields when he gets his own equivalent of a Hogwarts letter –a summons to begin an apprenticeship as a Bookbinder, which is a sacred calling. Bookbinders have the power to erase memories, conceal secrets, and lock away the past. 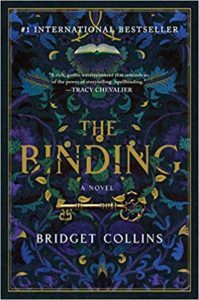 Not all Bookbinders have virtuous goals, either – and when Emmett finds his own name on a book, everything changes for him. Here’s what the author of this buzzy novel has said about his own book: “With Tom and Esme, I wanted to look at a long-term relationship through the individual moments that really matter – whether comic or tragic – to explore how two people grow and change over the years. 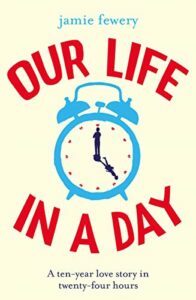 As well as a love story, at its heart Our Life in a Day is about male mental health, and how one man’s struggle with depression, anxiety and addiction colours his life and relationships… But in the face of this can be found warmth, humour and, ultimately, hope”. Amazon reviewers praise the novel for its realism and its inventiveness. It’s been available as an ebook for a while, but the audiobook is out now.